My life long passion for woodworking and custom writting instruments has led me to pen turning as a hobby. I use different materials to turn my handcrafted pens such as exoitc woods, native woods, lucite, custom blend resins and antler. I hope you enjoy using them as much as I enjoy creating them. 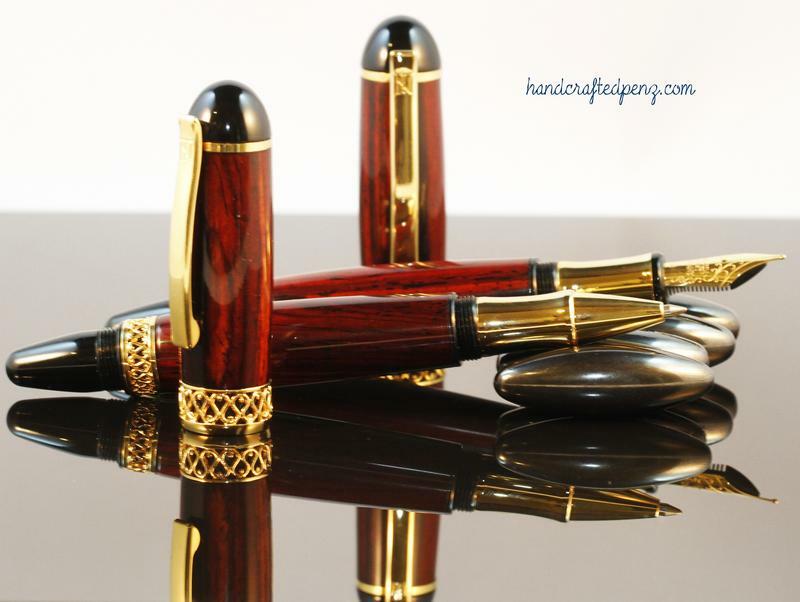 Please browse through and let me know if I can make that perfect custom pen for you. If you are interested in any of the sold pens please contact me.